If you find yourself in need of new rain gutters in Burien, WA, you have come to the right place. Johnson Exteriors offers gutter installation services for the owners of homes and commercial properties. We can install rain gutters in new constructions and also replace the old, worn-out guttering in existing buildings. Call today to discuss your requirements for rain gutter installation services in Burien with our experts. With the amount of rainfall that this region receives annually, installation of rain gutters in homes and commercial buildings should not be an option but an absolute necessity. 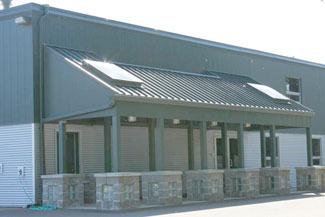 Gutter system is the first line of defense in any property against rainwater run-off from the roof. A number of parts of the building, including the siding, windows, doors, foundation, basement and lawn, are vulnerable to water damage from run-off. We install rain gutters on Burien properties so that the rainwater accumulated on the roof is channeled safely away from the building to a suitable disposal site. You will see that rain gutter installation cost is a small price to pay for safeguarding what is probably your biggest and most important investment. 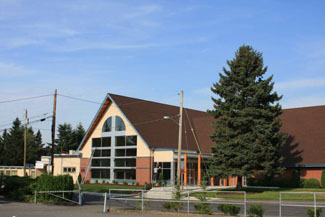 Why Choose Us for Gutters and Downspouts in Burien? We install both gutters and downspouts on Burien properties. Downspout extensions are a part of the overall gutter system, as the excessive run-off goes into the gutters and downspouts which then carry it down to the ground. Usually rain barrels or other containers are placed at the end of downspouts to collect the water. Poorly designed or incorrectly installed gutters and downspouts fail to do their job efficiently. That is why you should choose experience professionals like us to install your gutters and downspouts. 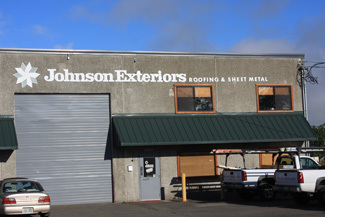 Call Johnson Exteriors at (360) 226-2521 for installation of rain gutters and downspouts in your Burien home or commercial property.